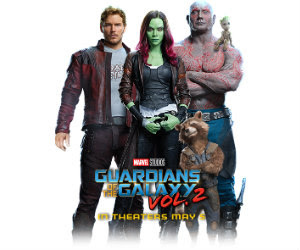 Enter the Guardians of the Galaxy: Vol. 2 Sweepstakes from Doritos for a chance to instantly win two tickets to Guardians of the Galaxy: Vol.2. The prize is in the form of a Fandango promo code valued up to $30. Sweepstakes ends May 14th. Good luck and be sure to let me know if you win!